AIE provides a range of corrosion and flow assurance consulting services that comply with Safety, Health and Environmental policies and which help to increase plant availability as well as reduce leakages and unplanned maintenance. 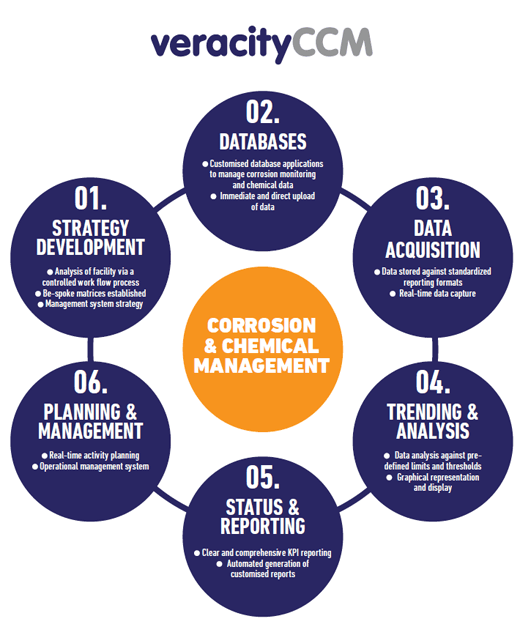 A key offering within our service is our bespoke corrosion and chemical management software Veracity CCM which delivers an efficient method to track and measure performance. Via utilization of Veracity CCM, the performance of corrosion inhibitors can be reviewed and audited to establish the performance of the chemical management system. This allows for corrosion inhibitor optimisation whilst ensuring that the corrosion management system remains dynamic and relevant to the changing conditions. In parallel, through our flow assurance management software, additional production chemical performances can be tracked and monitored. Our corrosion and flow assurance management services allow greater visibility to ensure systems comply with Safety, Health and Environmental policies in industries such as Oil and Gas, Power Generation and Nuclear. This helps to increase plant availability as well as reduce leakages and unplanned maintenance. AIE’s corrosion and materials consultants provide quantitative and qualitative corrosion risk assessments which address all modes of degradation including flow assurance typically found in heavy industry. Our specialist corrosion and flow assurance consultants assign numerical values to perceived threats in accordance with our risk matrix tables and define individual failure probabilities. We then perform consequence modelling to calculate a derived risk for each threat and barriers/mitigation actions are then assigned. AIE provides comprehensive Risk Based Inspection (RBI) assessments to optimize inspection activities based on risk analysis. We develop corrosion circuits and utilise market-leading software to define quantified degradation rates of failure which are then used in our detailed RBI assessments. Our corrosion and materials analysis is completed to the highest standards and is integrated with the operational corrosion management system of the facilities. Our specialist corrosion and flow assurance consultants are highly qualified and have extensive theoretical and practical experience in Oil and Gas, Power Generation and Nuclear industries. This coupled with our Veracity CCM software ensures our services meet client requirements in terms of corrosion inhibitor optimisation and flow assurance. AIE provides expert witness services to support legal and insurance claims and we regularly consult on a variety of corrosion, materials and flow assurance related issues. AIE has extensive capabilities in performing fitness for service evaluations according to Oil and Gas field conditions of both corrosion inhibitor and flow assurance chemicals. As a leading chemical management service provider, we have working relationships with some of the world’s leading laboratories and our chemical, corrosion and flow assurance consultants are regarded as some of the most experienced in the Oil and Gas industry. AIE works alongside our approved chemical and corrosion service partners in delivering lab analysis and corrosion coupon/probe management services across a range of operating facilities in the Oil and Gas industry. On behalf of our clients, our consultants manage and provide the entire service and independently analyse and report results. 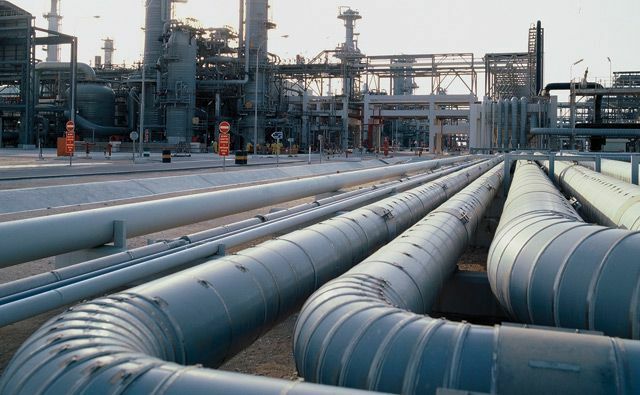 Our expertise range from corrosion inhibitor selection programs to engineering flow assurance solutions to threats such as wax, asphaltene and hydrate formation. Our holistic service offering strengthens the overall management service by ensuring the quality and independence of the data being gathered. AIE establishes KPIs for each essential corrosion and flow assurance control activity in order to provide a means of recognizing and understanding whether performance goals that were established by the duty holder, government or regulatory body are being achieved. AIE have developed a corrosion and chemical management software Veracity CCM, specifically to manage this data in an efficient and visible manner. These KPIs set by our corrosion and flow assurance consultants allow continuous monitoring and surveillance of the system as well as allowing corrective actions which would strengthen safety barriers, reduce asset integrity risks and optimise plant performance. AIE’s materials expertise covers the entire spectrum of materials engineering services, from quality control, testing and quality assurance to infrastructure assessments. We provide services over a range of industry sectors such as Oil and Gas, Power Generation and Nuclear. Our corrosion and materials consultants perform failure analysis in order to determine where product, process and system improvements are needed and to identify the root cause of component failure. Solutions can then be engineered to avoid similar failures in the future. A multi-platform, web-based software, Veracity CCM provides a wholly integrated and holistic approach to chemical and corrosion management. It assigns monitoring and mitigation techniques to identified threats, graphically represent data and provide a user-friendly platform for cross-disciplinary examination. With multi-level reporting features, Veracity CCM allows operators to translate key data into readily assimilated information. Veracity CCM forms an integral part of the operators’ corrosion and chemical management system, with its structure and design fully compliant with best practice engineering standards.